1. January was National Mentoring Month. Have you ever had a mentor? Been a mentor? How would you rate the experience? When my friend Henry introduces me, he refers to me as his "former boss." I wasn't. I was just bossy. But he admits he learned a great deal from me. Through my career, I've worked with many art directors who credit me that way. It makes me happy. 2. What current trend makes no sense to you? Blindly condemning Black Lives Matter for having the temerity to question bias in local policing while blindly supporting Trump as he slags the FBI for bias in investigating him. 3. I saw a cartoon on Facebook highlighting a few 'weird' things that make you happy as an adult. The list included-writing with a nice pen, having plans cancelled, freshly cleaned sheets, eating the corner brownie, cleaning the dryer lint screen, and sipping coffee in that brief time before anyone else wakes up. Of the 'weird' things listed which one makes you happiest? What is one more 'weird' thing you'd add to the list? From that list: Clean sheets. 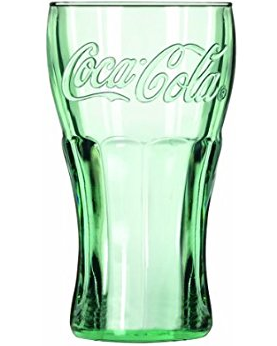 My addition: Ordering Coke and getting it in a real Coke glass. 4. What's the last good thing you ate? The manicotti at La Cantina Tuesday night. It was freaking AWESOME. The shell and ricotta just melt on my tongue. 5. Describe life in your 20's in one sentence. Better than my teens. 6. It's that time of year again...time for Lake Superior University to present a list of words (or phrases) they'd like to see banished (for over-use, mis-use, or genera uselessness) in 2018. This year's top vote getters are -- unpack, dish (as in dish out the latest rumor), pre-owned, onboarding/offboarding, nothingburger, let that sink in, let me ask you this, impactful, Cofefe, drill down, fake news, hot water heater (hot water doesn't need to be heated), and gig economy. Which of these words/phrases would you most like to see banished from everyday speech and why? Is there a word not on the list you'd like to add? "Impactful," because it's a made up word. Here's my addition to the list ... At work, we have "practice fire drills." By definition, a "fire drill" is a practice. 7. What's something you need to get rid of in the new year? POUNDS! CLUTTER! DEBT! 8. Where do you feel stuck? In my career. 9. January is National Soup Month. When did you last have a bowl of soup? Was it made from scratch or from a can? Your favorite canned soup? Your favorite soup to make from scratch on a cold winter's day? Tuesday night I had a bowl of minestrone with that fabulous manicotti. It, too, was tasty. I like Campbell's soups, especially chicken noodle and bacon/bean. Yes, I know they are high in sodium. I suspect that's why I like them. 10. Tell us one thing you're looking forward to in 2018. The Cubs play the Marlins on March 29. I won't plan events with my friend Mindy. She's a very sweet woman, but oh! Can she ever be difficult! A former fatty who is now a gorgeous size 6, she adheres strictly and passionately to her diet, which severely limits dining choices. She is also (insanely, IMO) affected by weather. She's cancelled ("rescheduled" in Mindyspeak, which is "cancelled" to everyone else) appointments and gettogethers because of snow or even rain. Then there's her calendar. She really doesn't keep one. She'll say she can meet you, but then she realizes she has to work, or pick one of her (now adult) sons up from a train station or airport. I find this last one especially frustrating. How hard is it to write things down on your calendar and then check it as you speak to This Old Gal? So I dumped planning our Christmas 2017 holiday gift exchange on my friend John. He ran into all the same issues I did, and we finally had it yesterday. 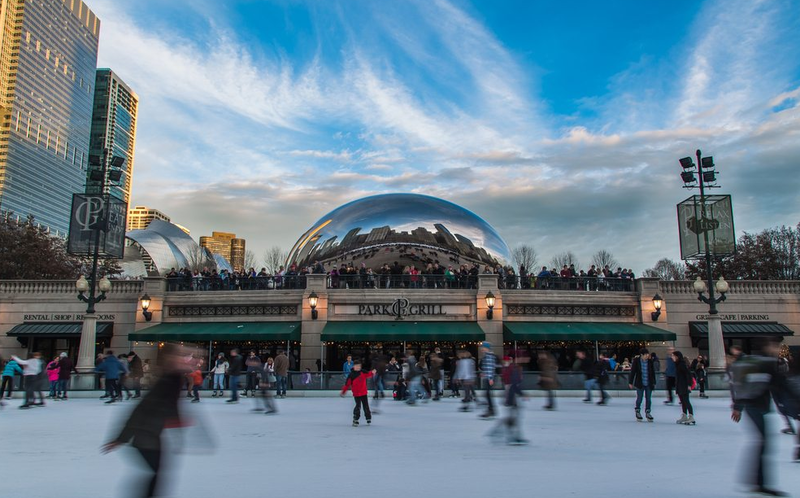 John chose the venue -- Millennium Park Grill, so we could watch the ice skaters. Mindy and her husband Alan (who is on a medically-mandated special diet) and John (who wasn't hungry) all had salads, which they admitted they really didn't like very much. Mindy even sent hers back (no surprise there!). I had the turkey sandwich, because it was the cheapest thing on the menu. Let's face it: the food was crappy. Yet we had a great time getting together and catching up. For all my pre-meal exasperation, it was a lovely afternoon. I left feeling happy and loved. 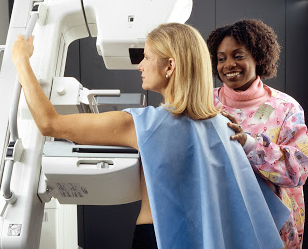 I've been getting my mammogram at the same hospital for more than a decade. I like the consistency of having the same facility take, warehouse and analyze my films. This location is a neighborhood satellite of one of Chicago's most established hospitals. One of the benefits of living in a world-class city is world-class hospitals. Last year, the service, specifically the woman in admissions for the mammography department, was off-the-chart rude. It left me even more tense and uncomfortable for my cancer screening, a situation that's inherently nerve wracking. I was not looking forward to returning this year. I realize that the skill of the technician and quality of the radiologist who reviews this year's mammograms and compares it to last year's are way more important than the attitude of the woman behind the counter, so it would be childish to change facilities. I'm happy to report that the staff has changed and yesterday I experienced nothing by professionalism. I left a love note in the comments box. Now all I have to do is wait for the results. I have no reason to expect bad news, but, as Tom Petty used to say, "The waiting is the hardest part."